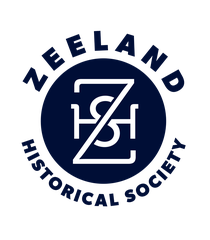 The history of Zeeland founder Jannes Vande Luyster is now available in a new and improved biography. 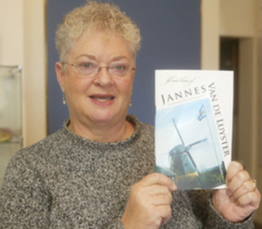 Zeeland Historical Society Board member Shirley Wissink holds a copy of the updated biography on Zeeland founder Jannes Vande Luyster. The Zeeland Historical Society recently had an updated version of the biography on Vande Luyster printed. The updated version includes a new cover and additional photographs such as the Vande Luysters and their farm in the Netherlands, some of the first pioneer settlers, the first two churches in Zeeland, and one of Rev. Corneilius Vander Meulen, the first pastor of Zeeland First Reformed Church. The biography itself has not been changed. Rev. Henry Beets authored the biography and Dr. Nelson Vande Luyster, a great-grandson of Jannes Vande Luyster, translated it. The biography was first published in 1949. Zeeland Historical Society Manager Kit Karsten said the biography was revised as part of his group’s effort to update several of its old publications. He said 50 copies of the new biography are available. The cost is $10. The address for ordering the book is Zeeland Historical Society, P.O. Box 165, Zeeland, MI. Residents can also call 875-8036.